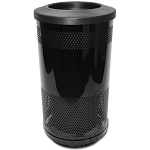 Elegant perforated design speaks for itself, even without added branding. 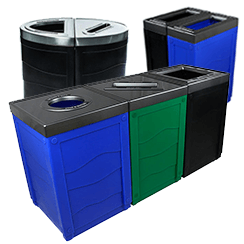 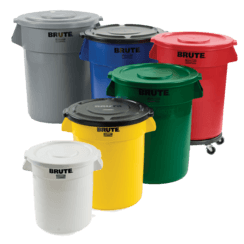 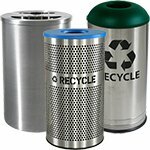 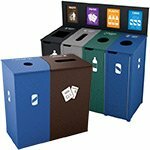 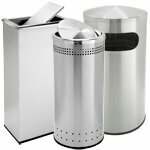 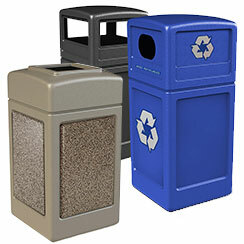 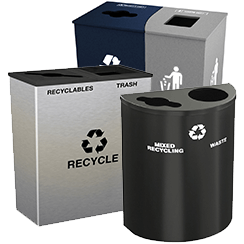 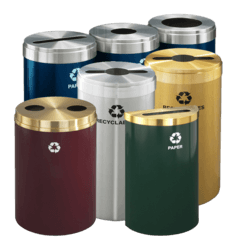 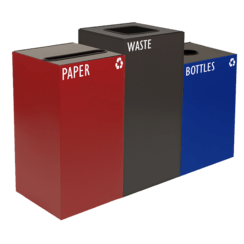 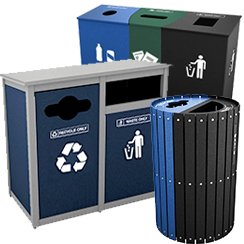 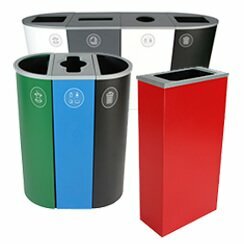 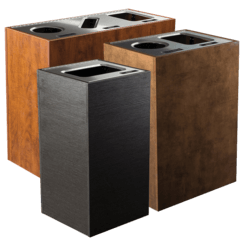 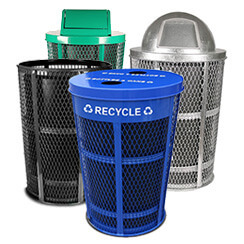 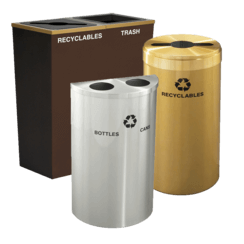 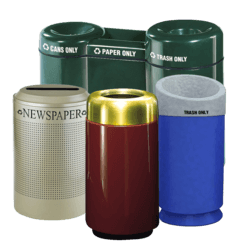 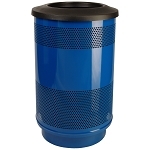 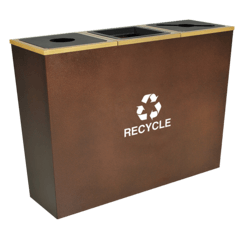 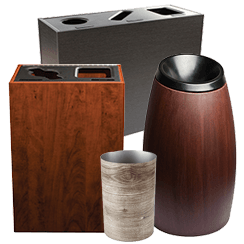 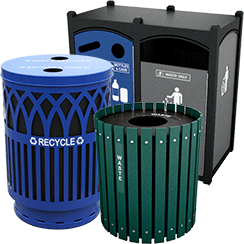 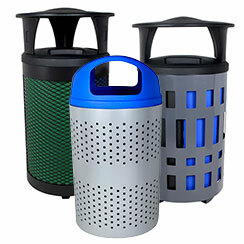 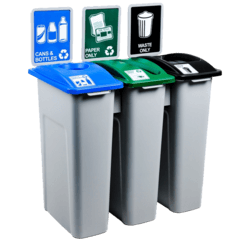 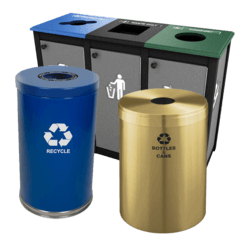 Built to exacting quality standards, these durable and versatile receptacles are well suited for a range of settings. 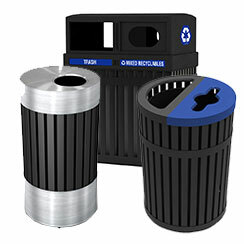 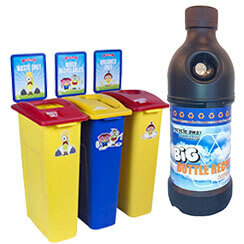 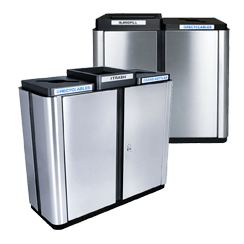 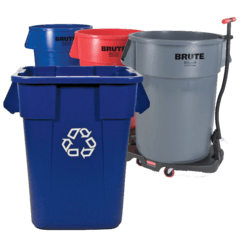 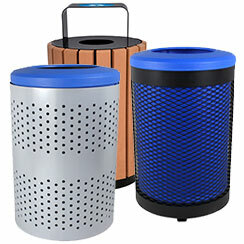 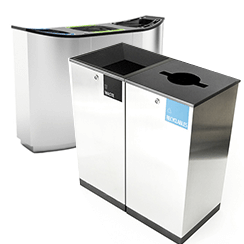 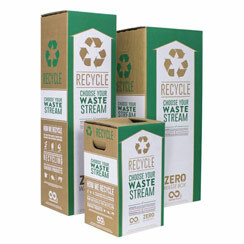 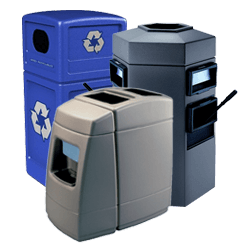 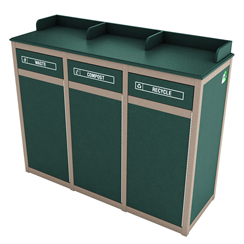 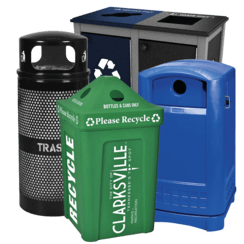 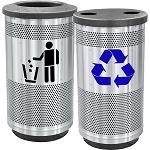 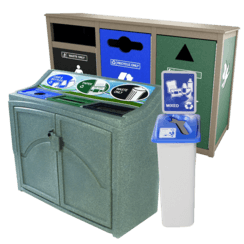 This station is perfect for two-stream, indoor or outdoor waste programs. 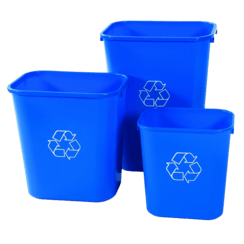 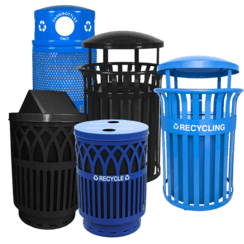 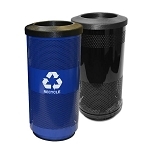 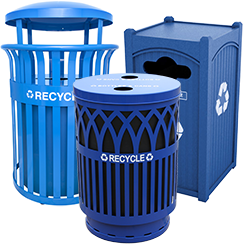 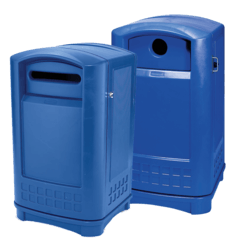 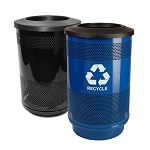 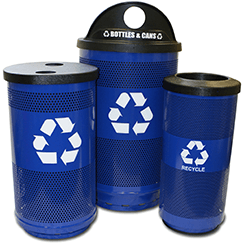 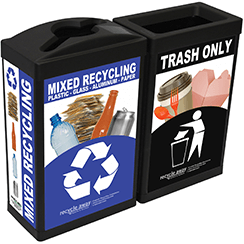 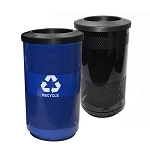 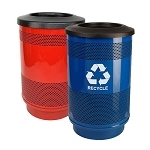 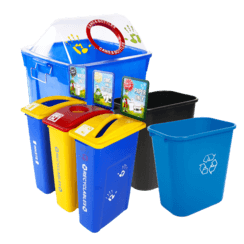 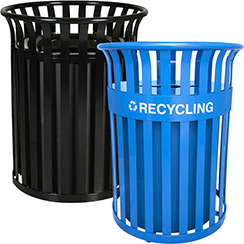 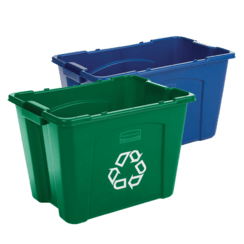 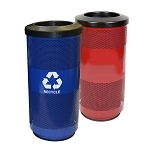 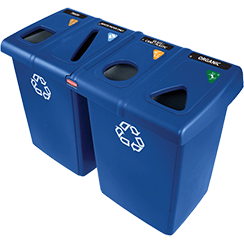 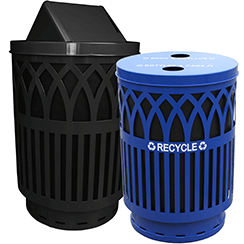 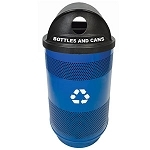 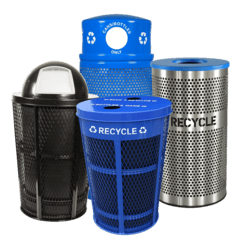 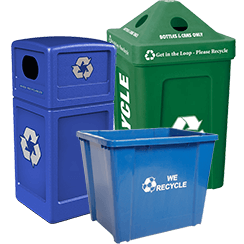 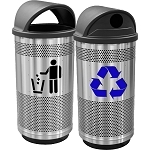 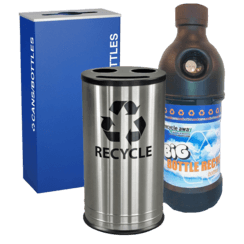 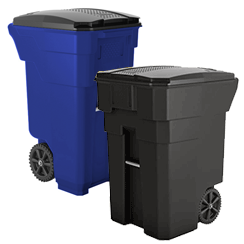 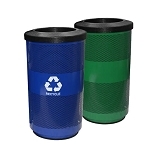 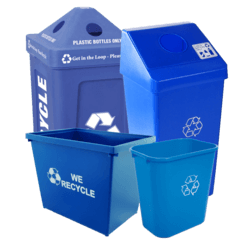 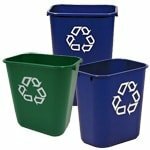 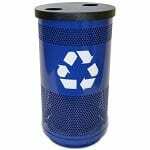 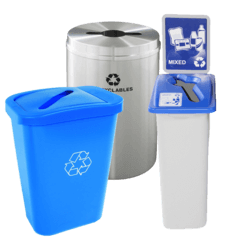 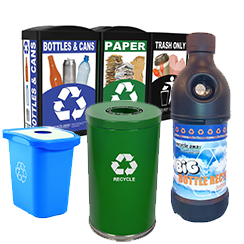 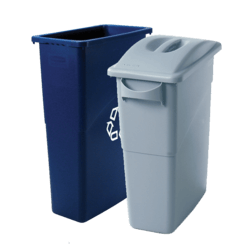 The Recycling container comes in blue with a Recycle symbol, and the waste container comes in black. 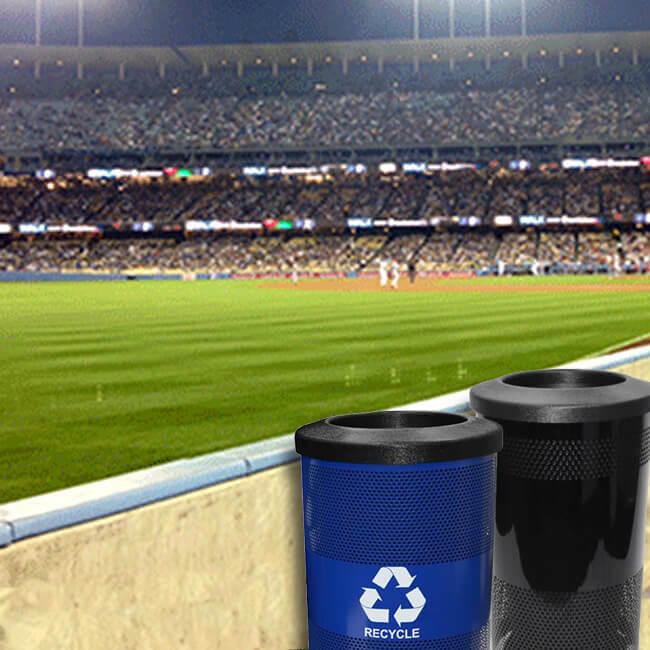 Customize your Stadium Series container! 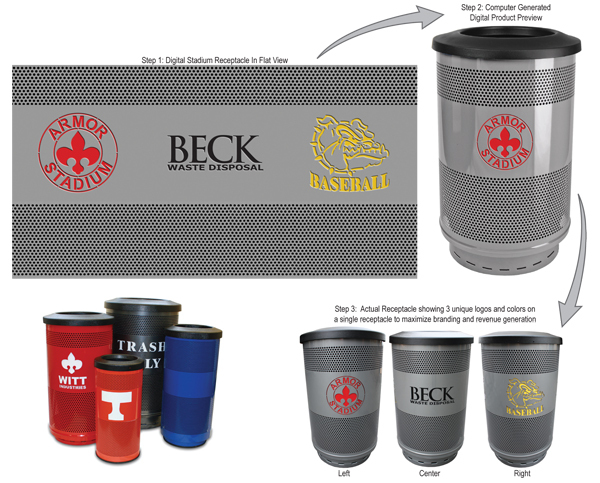 Add your team or company logo. 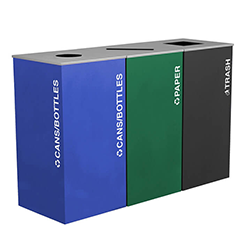 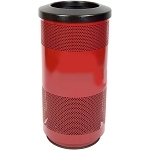 We can match any color for a truly custom product. 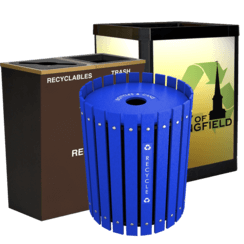 Call 1-866-359-8594 for more information.